I am looking for a project tractor. Ideally I need a tractor like a John Deere 755-855-955 which has the hydraulic drive which is separate unit from the motor and the hydraulic unit is driven only by a drive shaft. I do not need the original diesel as I plan to replace the motor, but would like most of the running gear. Does anyone know of such a unit sitting some place? I'll second that request......... Whatcha buildin'??? I am considering building an all electric CUT. From the work I have done you could get some 3-4 hour run time between charges. If done properly 6-8 around the yard. 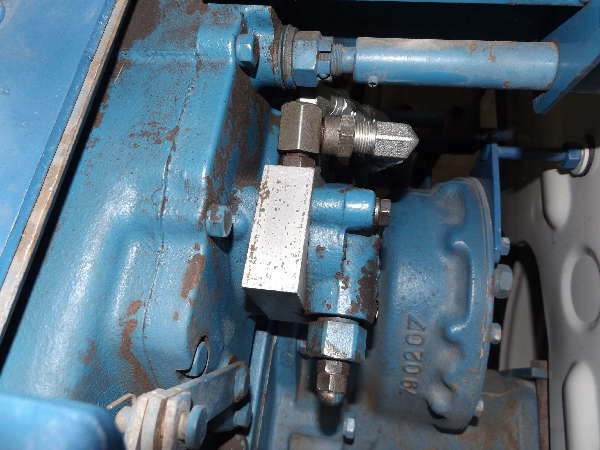 Of you could rid of the hydraulic pump whine you could run around the yard in relative silence. In Army terms sort of like the difference between the Commanche and a UH-1. I was thinking maybe a Back to the Future type John Deere time machine. Should aught to be interesting to see how it turns out. Would definitely be quieter. There was an article in Mother Earth News last year about someone who built an electric CUT. I started looking through that magazine when I was looking for different tractor brands and experiences and before I found this board. Anyway, I remember running across the article. You probably won't need additional ballast with all those batteries. I use 6 volt golf cart batteries to power my equipment in my amateur radio station and they work really well and last for many years. I was going to go NiMH as I have worked with them and can get the battery packs made up already. I like the idea of mounting the batteries below the CG making it a very stable rig. One caution about the NiMH is that they self discharge rather rapidly, so you will probably need to keep them on the charger most of the time. There is the specified self discharge rate, but I have had this technology lose most of its charge in one month without being charged. I have built pulse chargers for these that work well and deliver high current pulses of low duty cycle so that they don't overheat when fully charged. I suspect that it is also worth asking why all golf carts as far as I know use lead acid deep cycle batteries. The lead acid technology is well known and mature whereas NiMH would probably have never been comercialized if it had not been for increasing costs of building and disposing of NiCad batteries. The hot new standard that competes for most NiMH turf is LiIon technology. I use two very large 6 VDC deep cycle lead acid batteries hooked in series to power my ham radio station. The ham radio operators in NM have a linked repeater system and all of those remote stations on mountain tops are powered by deep cycle lead acid.